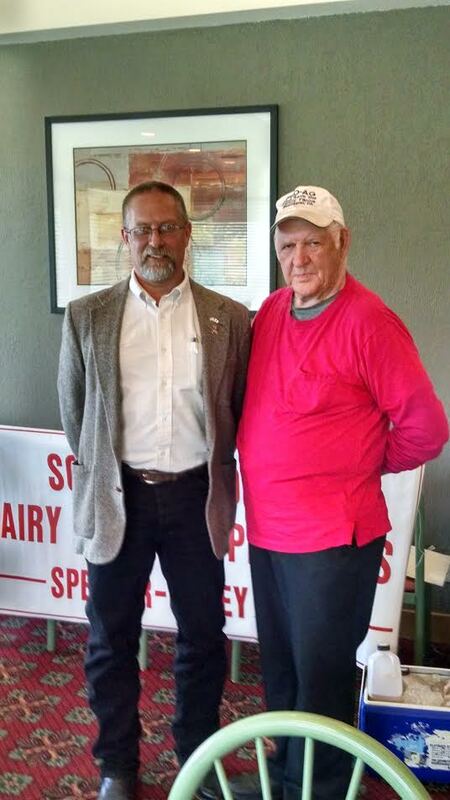 Sixteen dairy farmers testified at last Tuesday’s milk hearing held at Perkins Restaurant in Tunkhannock, Pennsylvania. According to Arden Tewksbury, Manager, Pro-Ag, “The dairy farmers told it like it is down on the farm.” The hearing was attended by aides to Senator Bob Casey’s office, Senator Pat Toomey’s office, Rep. Lou Barletta’s office, and an aide was there from State Rep. Karen Boback’s office, and Wyoming County Commissioner Tom Henry attended the hearing. Furthermore, the information gathered at Pro-Ag’s hearing hopefully will be used to stimulate our local elected officials to take immediate action. 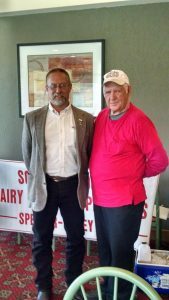 Everyone who testified supported the re-introduction of the Federal Milk Marketing Improvement Act (formerly the Specter-Casey bill; S-1640). The recent announcement that the Class I (milk used for bottling) price for June has dropped 56 cents per cwt. to the dairy farmer, and will mean that all dairy farmers will sustain even further losses. I hope that all dairy farmers and consumers who read this immediately call your US Senators and Congressmen and urge them to take immediate action to benefit the dairy farmers. Equally important; we continue to hear from many agriculture support groups (feed dealers, suppliers, vets, etc.) as to how the dairy farmers’ low prices are having a drastic effect on their businesses too. It’s time for all you people to speak up! (Photo caption: left to right: Brian Smith, dairy farmer and Wayne County Commissioner and Pro-Ag member, confers with Arden Tewksbury, Manager of Pro-Ag, before the milk-price hearing. This entry was posted in Blog, Press, Releases and tagged Dairy, Fair Prices. Bookmark the permalink.